It was January 100 years ago when things turned badly wrong for 28 or so British Antarctic explorers under the command of Ernest Shackleton. Nowadays people jog up Kilimanjaro for charity and text home while they are doing it, but at the turn of the century there were still mountains unclimbed and places in the world unseen by human eye. And when you went to these places, they were, to coin a Shrek meme ‘far, far away’. The end was nigh though for explorers seeking firsts. Shackleton had wanted to be the first to the South Pole, but was beaten by Norwegian Roald Amundsen in 1911. Though World War One had begun he was encouraged to set off to complete the challenge he set himself as consolation prize. The Imperial Trans-Antarctic Expedition was just that — a walk across the continent. Two ships were involved — one called the Endurance would bring the marchers, while another would go to the opposite coast of the Antarctic continent to set up a series of caches of food way inland for the explorers to use after they passed the Pole. They set off in August 1914, five days after war was declared. By Christmas 1914 they were at the icy edge of the continent. By January 19th 1915 the Endurance was frozen into the drifting pack ice. It could not move, but the ship itself and the ice floe it was jammed in were gradually being transported north and east in the drift — away from the continent. So in February 1915 Shackleton revised his plans. He hoped that when the ship was released in the southern hemisphere Spring that September he could restart the planned trek. It did not go that way. The ship was crushed and sank. The men were trapped on a diminishing ice flow with no hope of rescue. How they saved themselves is a long, exciting story and should not be abbreviated here. Start with Wikipedia and then one of the books telling of the adventure. This is not the Franklin Expedition nor the Donner Party — it ends well and no-one eats their comrade. As an event it was perhaps the first episode in human history where you can see and hear of the events of the epic journey, for epic it undoubtedly was. 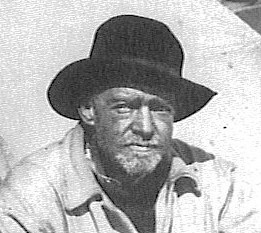 Here’s what a notable figure of the British establishment said of Shackleton and the men that went with him: “When one remembers what he had gone through, one does not believe in the supposed degeneration of the British race. One does not believe that we have lost all sense of admiration for courage [and] endurance”. 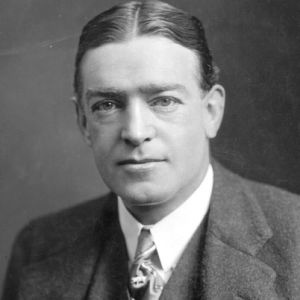 You can still hear his voice — Shackleton recorded some Edison disks of his Antarctic exploration. Google them. 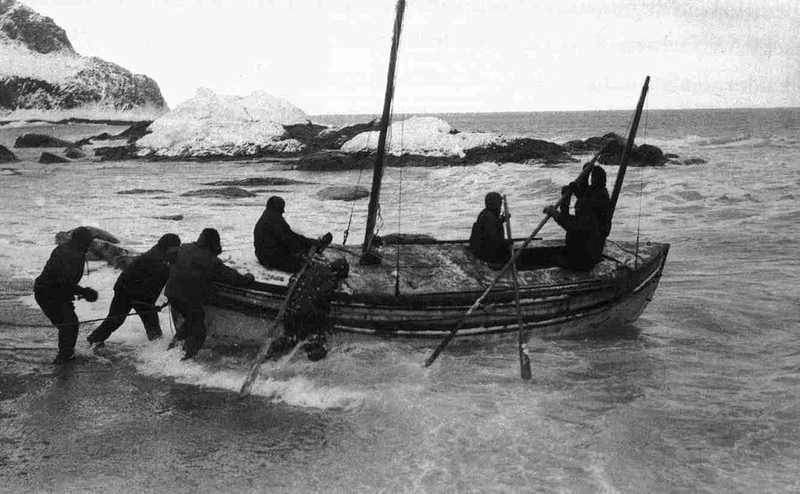 And for good measure, below is a picture of Shackleton and some of the crew actually setting sail in an open boat for their heroic and desperate journey to try to save their comrades. The men in this picture probably thought they would soon be dead. This entry was posted in Uncategorized and tagged Antarctic exploration, Edwardian heroes, Endurance, shackleton, World War One. Bookmark the permalink. ‘Thank-you kindly’ as Old Mose (actor Hank Worden, 1901-92) was wont to say in John Ford’s The Searchers.